You simply cannot miss this city on the Indian map. Passion, glamour and fashion, the city of dreams is always buzzing with activities. They’re the king city of Cricket by winning 41 Ranji trophies, India’s premier cricket tournament. The number looks even bigger when you consider that all the other teams have combined to win only 42. For all its achievement in the world of sports, the financial capital of India was not on the same pace when it came to football. Cometh the ISL, the revolution began. 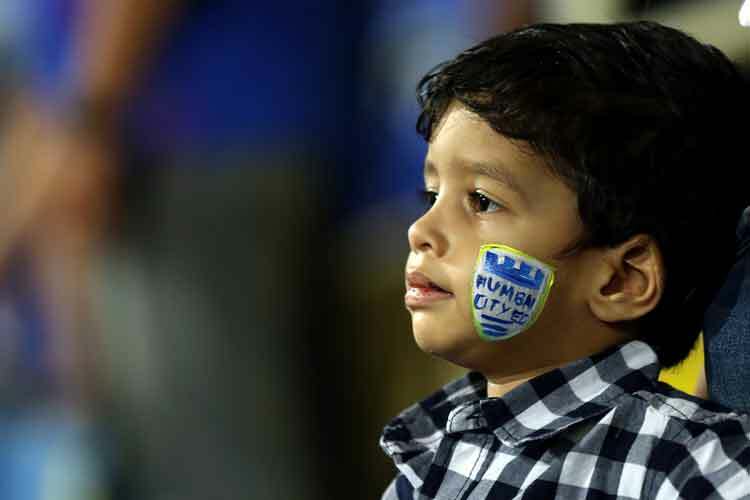 The fan club originated by a handful of friends who were divided by the teams they support in Europe but were united by the love they have for Mumbai. They decided to put their European loyalties aside and work together for their local team. They are promoting their club across the country and have had over 500 season ticket holders last season, who formed an integral part of their supporters club. “The Islanders” are a delight to watch on the field with some of the biggest names in world football and Indian football already donning the coveted blue Jersey. They swarmed the airport on the 6th of November to welcome their team returning from a gruelling preseason. They are on party mood already with less than week to go for the brand new season. Mumbai City Supporters Club are known for their vociferous and innovative chants. They have unveiled some interesting banners on match days. The two banners that got the most attention are one that read “This is Mumbai” and the other one that read “Loud and Proud”. “Loud and Proud” banner has become a second skin to them as they can be seen unfurling this huge banner on every match day and backing it up with their actions. They are constantly loud throughout the 90 minutes with Chants that often threaten to blow the roof off the stadium. The bunch is specialist in making their heroes feel welcome at the club. There was a special banner to greet the presence of Diego Forlan in the Mumbai city’s shirt. They had a banner that read “La Garra Charrua”, a tribute to the undying spirit of Uruguayan people. As Forlan pierced the net later that night, the stadium reverberated with the chants “Diego, Diego” which is still one of the sights to behold in the short history of this tournament. Their current home stadium’s official capacity falls well short of impressive but the noise made by them is overwhelming to the away team. Mumbai City also has improved leaps and bounds in helping the national team on the football scene. It was an hour and half to witness in India’s historic win over Puerto Rico national football team. The Mumbai City Supporters club is a well recognised fan-club by the club management and have constantly featured in the thick of things. The team can always look towards the stands for inspiration as their unflinching eyes and tireless heart keeps cheering them for more. The new season brings renewed hopes for the fans and they are ready for more. They are proud. They are definitely loud. The City of Mumbai has arrived with a bang on the Indian football scene.